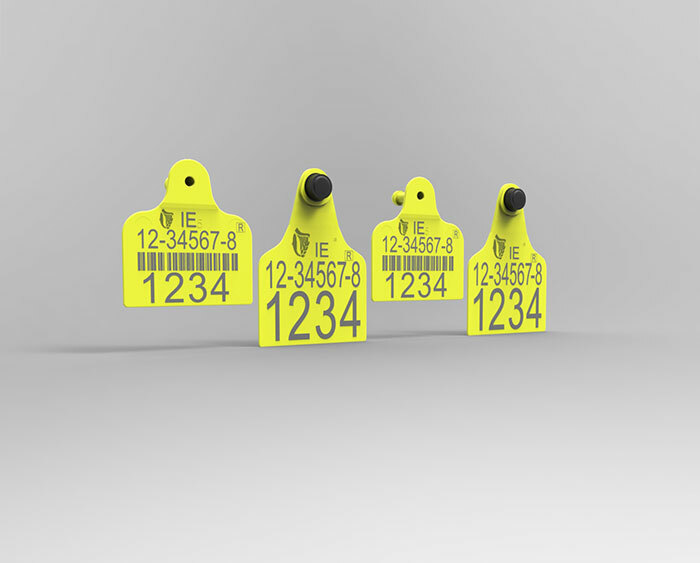 Datamars Agri supply Alpha ear tags. All main run orders include tissue sampling tags as standard and can include electronic ID tags if required. 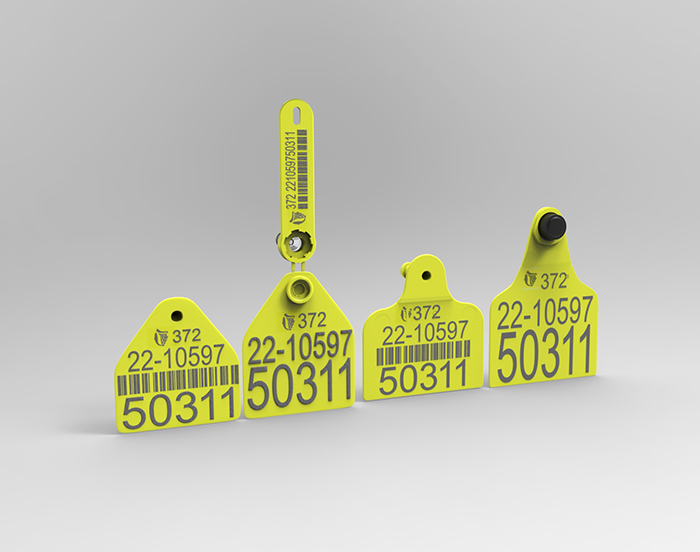 Replacement tags can be ordered in a variety of numbering formats. The Alpha TypiFix-S TST & Alpha Large Standard set meets all official identification and BVD testing needs. 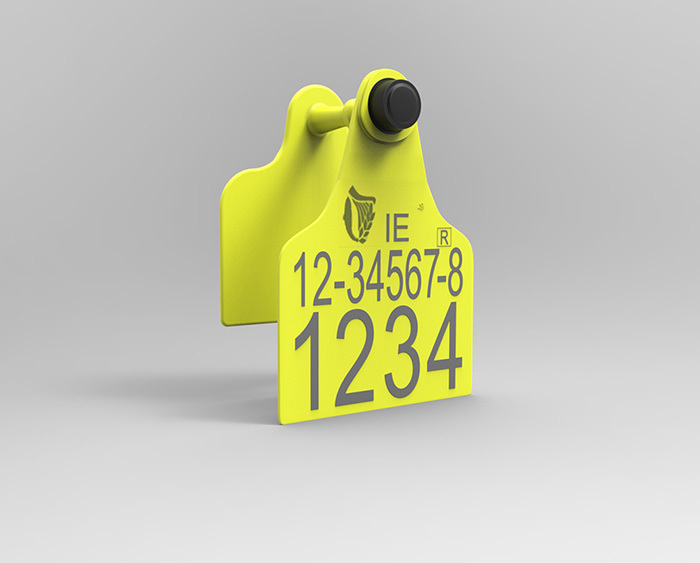 TypiFix-S is a leading tissue sampling tag applied to the ear as easily as a conventional ear tag. It is designed to allow tagging, tissue collection and sealing of the sample container in a single step process and is unrivalled in its ease of use and offers reliable sample success rates >99.7%. Additionally, all samples can be stored at room temperature without the need for refrigeration until posting to the laboratory. Simple and fast application minimising tissue damage and promoting quicker healing. Combines tissue sampling and official identification. Laser marked with herd number and individual number on the male and female flag. The sample container is marked with the herd number, individual number and a barcode for laboratory use. ICBF contribution of €0.38 per tag is optional. Combining tissue sampling and electronic identification the tag is available with HDX or FDX-B technology. Animals imported from outside the EU. 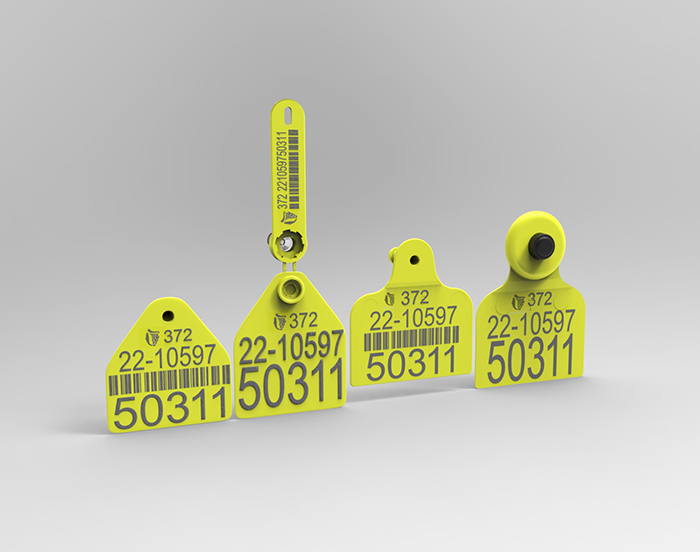 All replacement tags carry an ‘R’ to indicate it is a replacement and can be ordered in singles or sets. Laser marked with herd number and individual number on the male and female flag. If 2 of the same number are ordered they are available at a cheaper price. 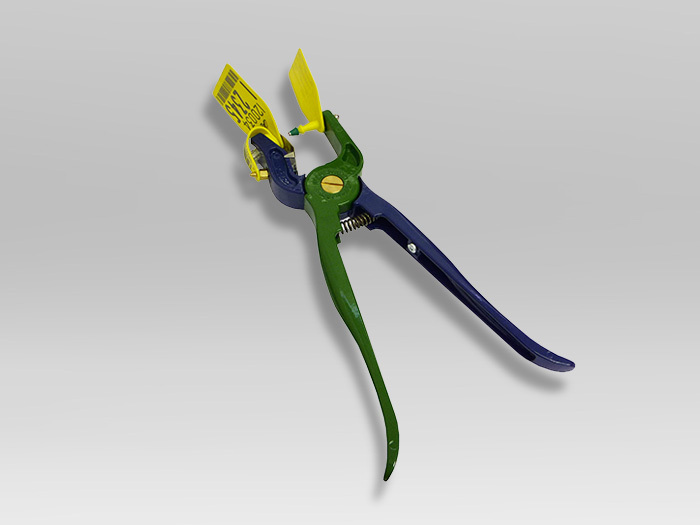 A strong and robust applicator with longer handles for leverage and easier application. Applies all TypiFix-S Tissue Sampling Tags.